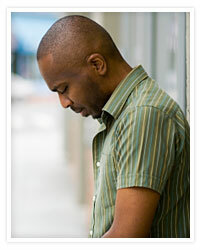 Depression can be a once in a lifetime event or have multiple recurrences. It can appear either gradually or suddenly, and can either last for a few months or be a life-long disorder. It is characterized by sadness, feelings of hopelessness or worthlessness, a pervasive low mood, loss of interest in usual activities, and diminished ability to experience pleasure. If left undiagnosed and untreated, depression can worsen, lasting for years and causing untold suffering, and possibly even result in suicide. Therapy provided by a trained professional is an important part of treatment for depression. It provides relief from depressive symptoms and helps you cope with some of the causes of depression such as grief, anxiety, changing roles, and even physical pain. Support is provided by sharing information, exploring ideas on the social and interpersonal triggers that may cause depression, and development of strategies for coping with daily life. Call our office to schedule an appointment. Medication is often required to help alleviate the symptoms of depression. In many cases, the most effective approach to treat depression is the combination of therapy and medication. Our staff CRNP will work with you to determine whether or not you would benefit from medication, and what medication would best suit your needs.